I spotted this small woven rug in an isle with kitchenwares at Walmart. 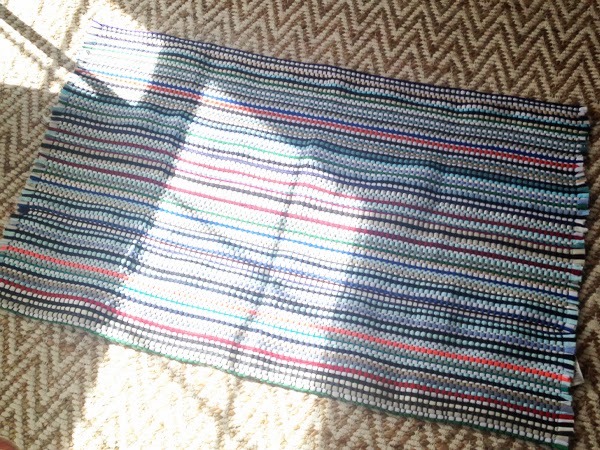 At the time I wasn’t looking for a small rug, nor did I need one, but I was really drawn to it - I love the texture (it sort of looks like shoelaces sewn together) and the combination colors (it’s got a mix of blues and reds, and single stripe of neon orange). I wasn’t sure what I was going to do with this rug, but I had to have it, and fortunately it was less than $5. 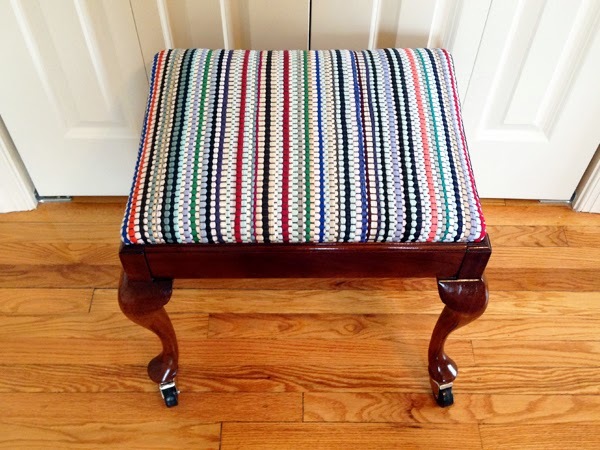 Not long after I bought the rug, I realized I could use it to reupholster this stool. 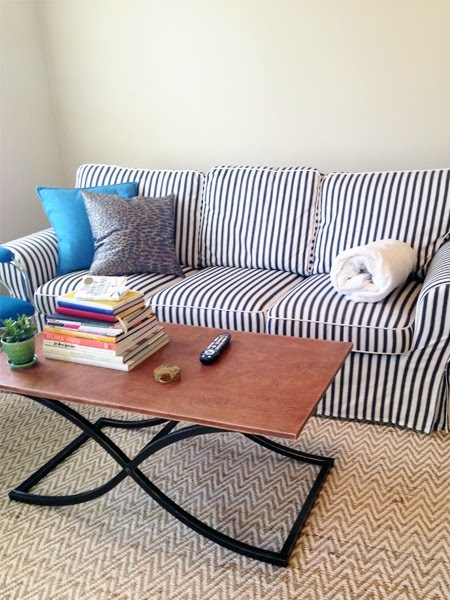 Note - rugs make great upholstery material because they're inherently durable. 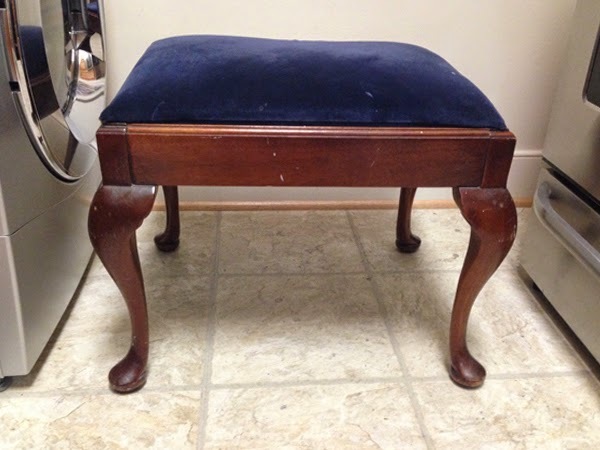 A little bit of history about this stool - It has been floating around for so long that no one remembers where it originally came from anymore. 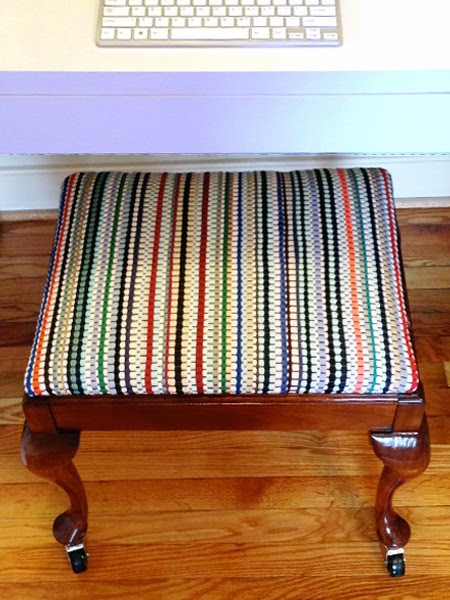 My mom said it’s possible this stool has been in each of the five houses we lived in over the course of my childhood. It does not have a ton of sentimental value, but when my mom decided recently to get rid of it, I asked to have it – it’s classic and versatile, though a little worse for wear. Before I reupholstered the stool, I freshened up the wood a bit. 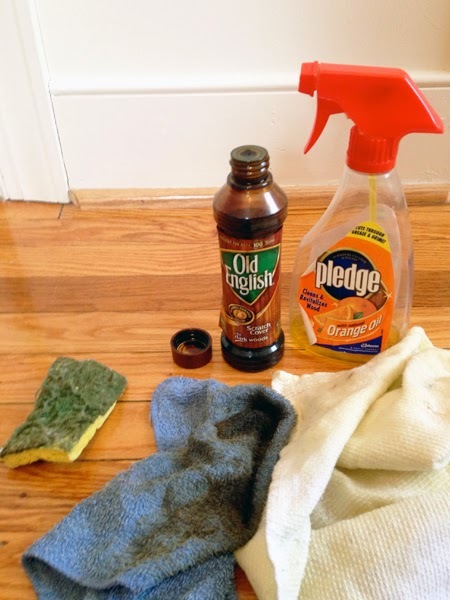 I scrubbed away white scuffmarks using the green side of a kitchen sponge. I dabbed some Old English on the scratches. And I rubbed at thin layer of Pledge Orange Oil over the whole thing. When I reupholstered the stool, I didn’t even bother to remove the existing navy velvet, I just stapled the rug right over it. 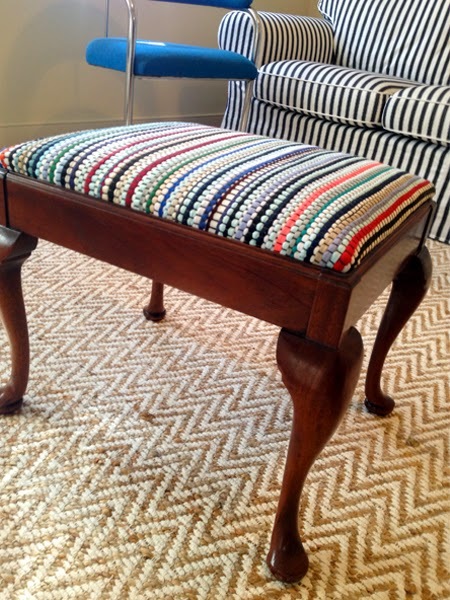 After I reupholstered the stool it sat in my living room like this for a few weeks, just looking pretty. Meanwhile I was in need of a desk chair. This stool was a few inches too low to use as my desk – until I had the epiphany that I could add casters which would make it the stool the necessary few inches taller, and more desk-chair-like to boot. 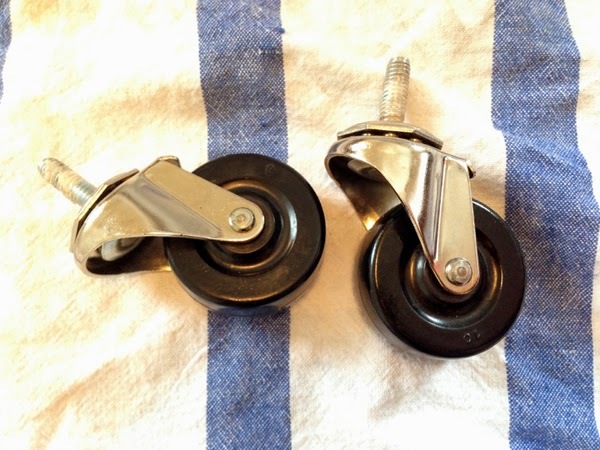 I bought casters at Home Depot (for $3 each). 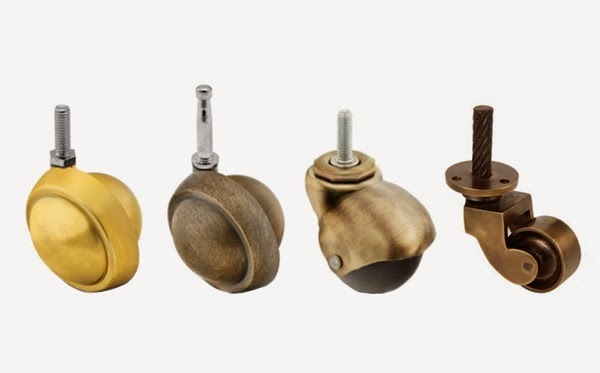 I chose these casters because of their short (one inch) stem – a stem longer than one inch would have required a deeper hole than could have been straight drilled into the small curvy feet of this stool. I didn't really shop around for casters, but I kind of wish I had because I've since come across all these pretty options on Amazon - here, here, here, and here. I measured and taped off a one inch depth on my drill bit to make sure I didn’t accidently drill too far in. The caster stems should fit snugly in the drilled holes. 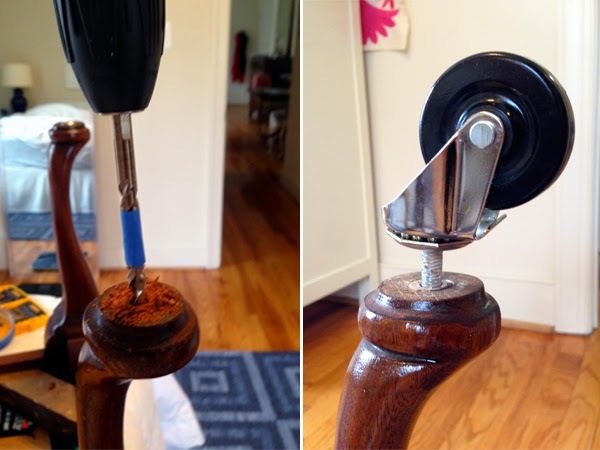 I mistakenly used a drill bit that was too big, so my casters were a little loose, and fell out when I picked up the stool – but I was able to remedy this by wrapping each caster stem with a tiny bit of mounting putty. I'll be back next week with details about my new desk - I'm pretty jazzed about it - I built it, and it fits in my closet. 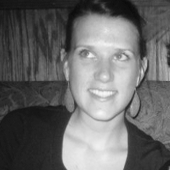 Hi, I’m back after a thirteen-month hiatus and I am just going to jump right into things. I moved to a new apartment and have quite a few projects to share. 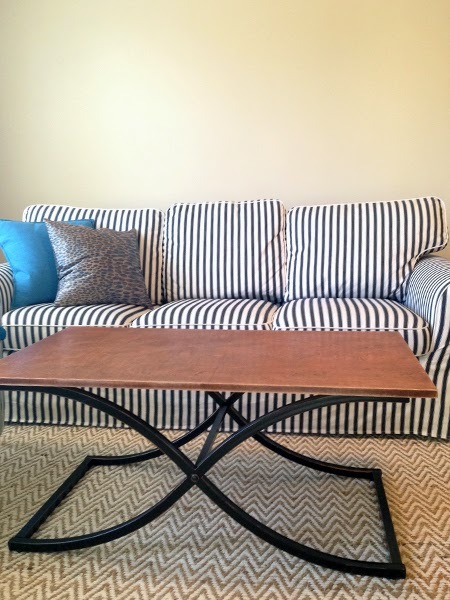 I had a glass coffee table. When I picked it out I was keen on the fact it was glass because this meant it didn’t take up too much visual real estate in my little living room. 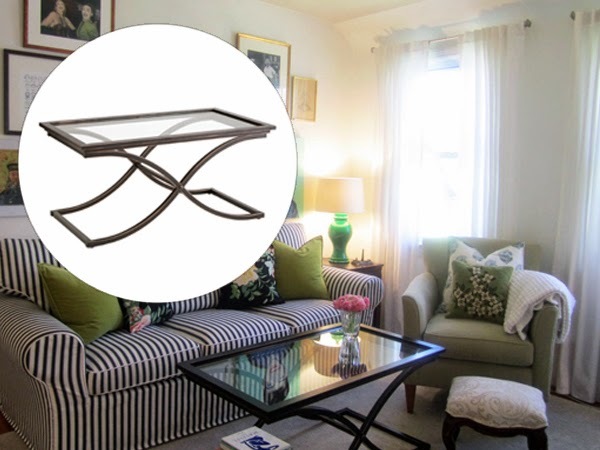 However, a glass coffee table does have drawbacks: No one ever really feels comfortable putting their feet up on a glass table, and I believe comfort at home is paramount. Also, it’s hard to keep a glass table looking clean – reflective surfaces like mirror and glass readily show scratches, fingerprints, and dust. I bought a piece of ¾” 2’ x 4’ birch plywood ($22 at Home Depot) and had it cut down at the store to the length I wanted (44”). 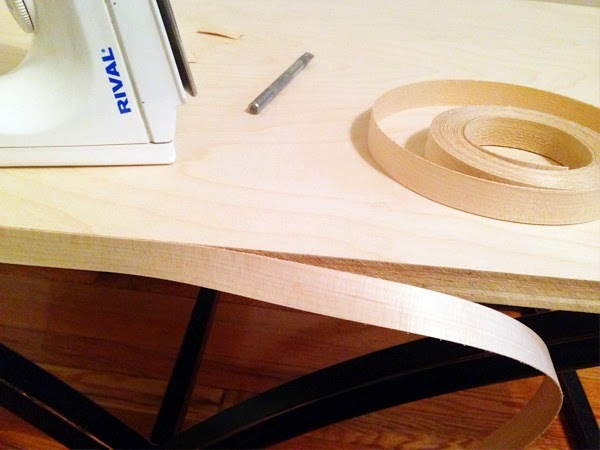 I wrapped the edges of the plywood with an iron-on veneer edge banding. This veneer edge banding is cool stuff, and it’s easy to work with. I cut it with an x-acto knife and fused it to the edge of my plywood with an iron. 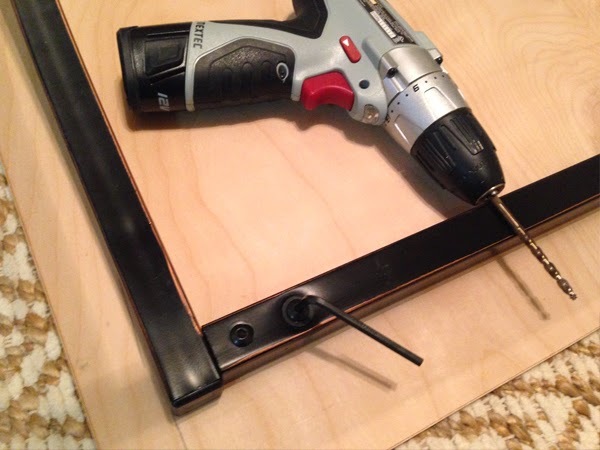 I unscrewed the metal piece that held the glass on top of coffee table, and used the screw holes to attach my newly made wood top. 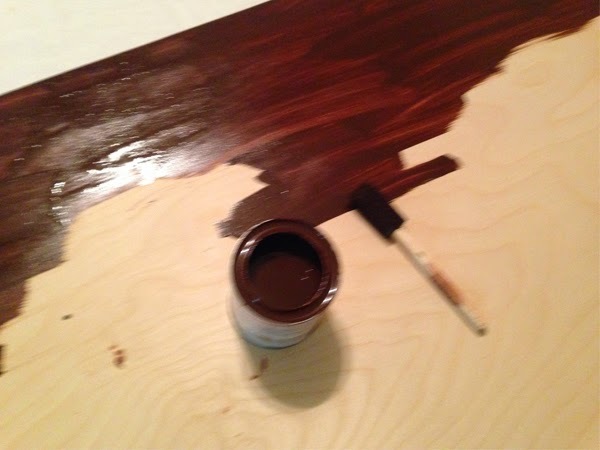 Then, I stained the wood using Varathane American Walnut Wood Stain ($5 at Home Depot). This was my first foray into staining so I followed the directions exactly from the can: I lightly sanded the wood, vacuumed the dust, applied one coat of stain liberally with a sponge brush, let it soak in for three minutes, and then wiped off the excess with a rag in the direction of the wood. 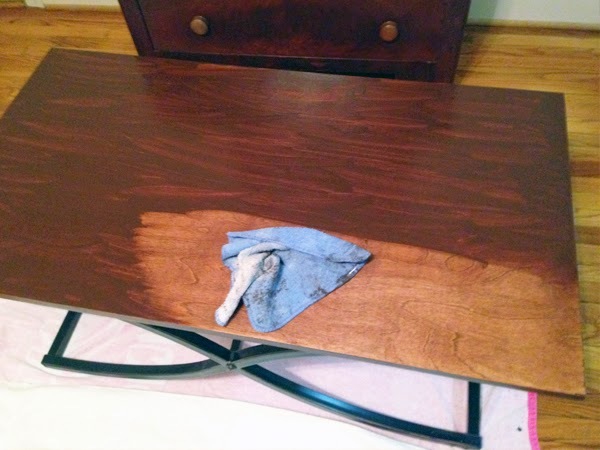 When I wiped off the first coat of stain, the color wasn’t quite as dark as I wanted it to be, so I applied another coat of stain and let it soak in for about ten minutes before wiping it off. After this I let the table dry overnight. 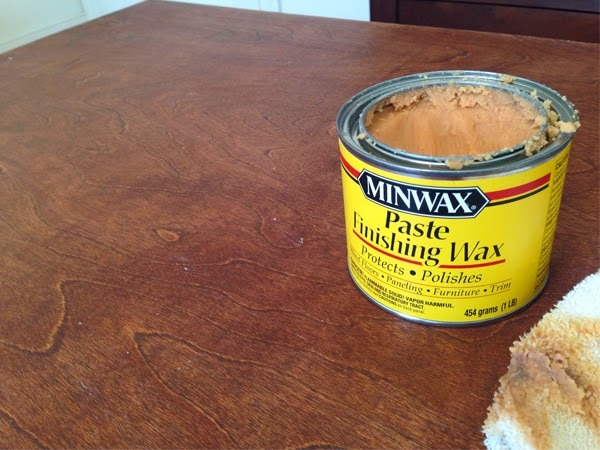 In the morning I applied Paste Finishing Wax, again following the directions directly from the can: I rubbed a thin even coat of wax onto the wood with a rag, let it dry for fifteen minutes, and then polished it (rubbed in little circles) with a clean cloth. The finishing wax didn’t really change the appearance of the stained wood, but in theory it’s helping protect the surface. 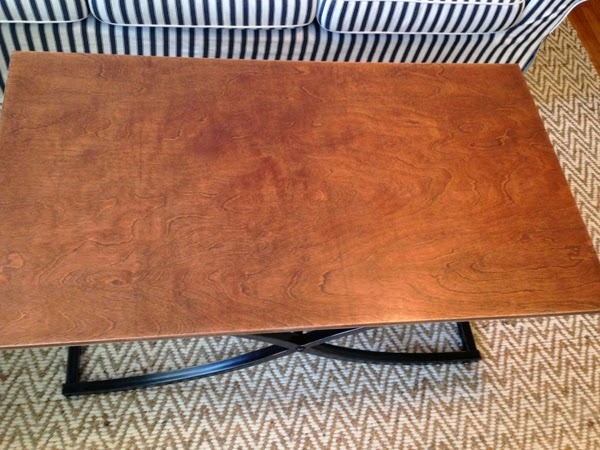 And, I’m inclined to think it’s working – I’ve been using my coffee table with this wood top for about two months and it still looks exactly like it did when I first finished it. 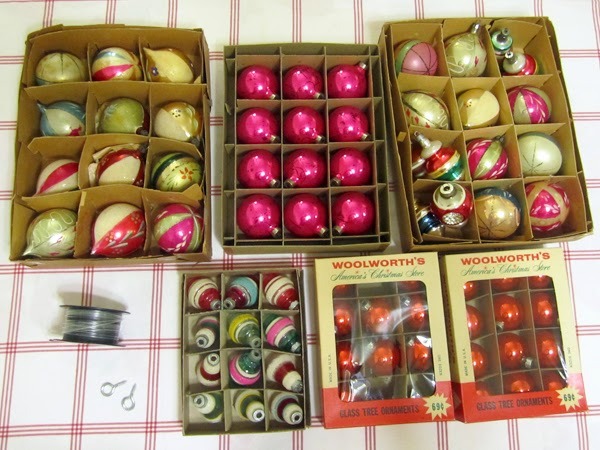 I didn't get a Christmas tree this year but I got my ornaments out anyway because I have so much fun looking through them. 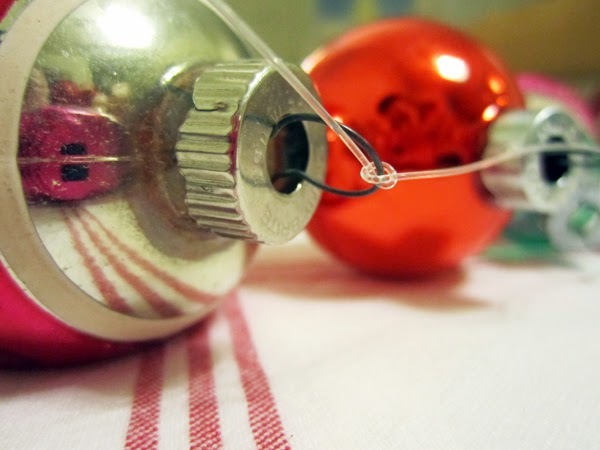 It feels like opening presents because I forget about all the pretty ornaments I've collected over the years. 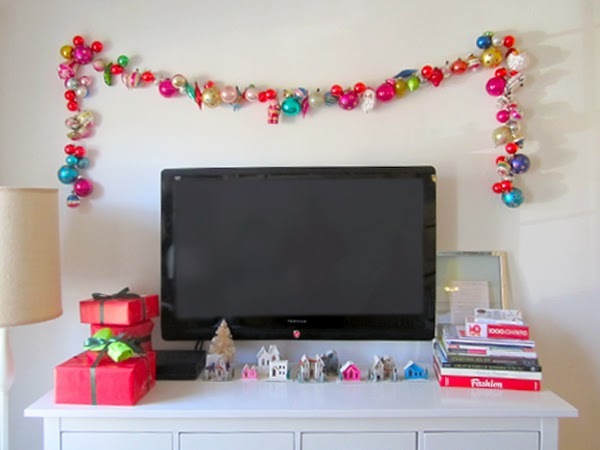 I made and hung a garland with some favorite ornaments, fishing line, and two screw eye hooks. 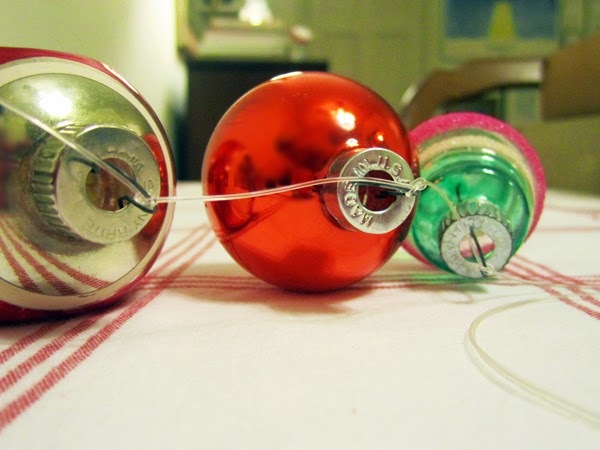 I strung the ornaments on the fishing line and tied a knot around one to hold it in place. 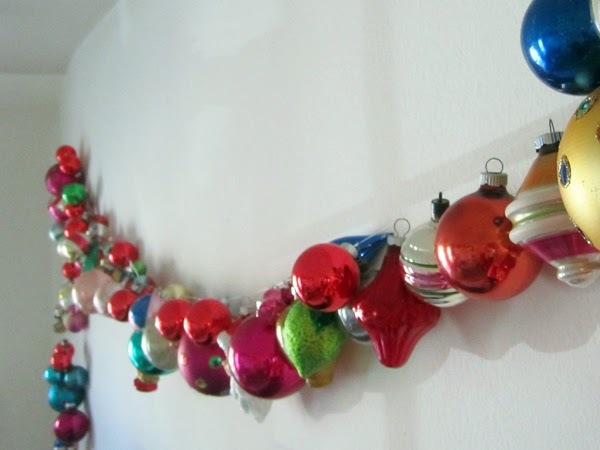 I spaced the ornaments about an inch and a half apart from one other. 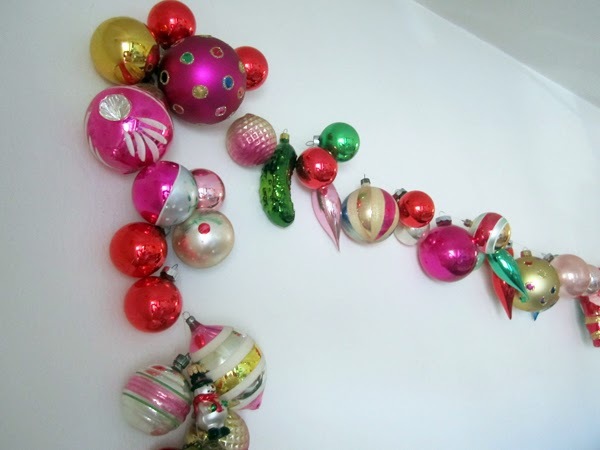 If you don't space your ornaments with knots they will all jumble together - your garland will look fuller but you won't really be able to see the individual ornaments. 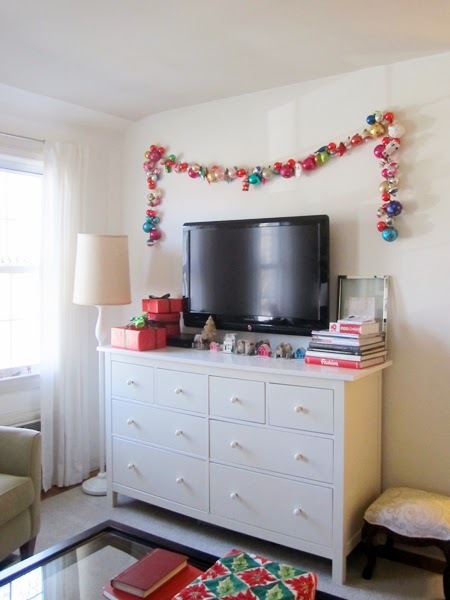 I screwed the two screw eye hooks into my wall and draped the finished garland over them. It was very easy. 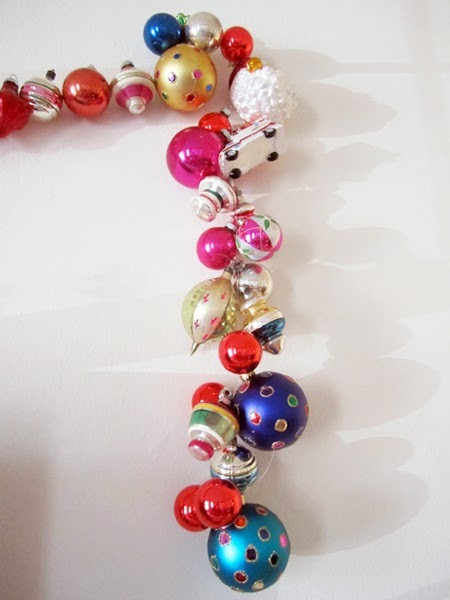 You just have to be very gentle when you pick up and hang the garland so the ornaments don't clank together too hard. I did a few other small things to make my apartment festive for the holidays, like put out my vintage cardboard Christmas houses. 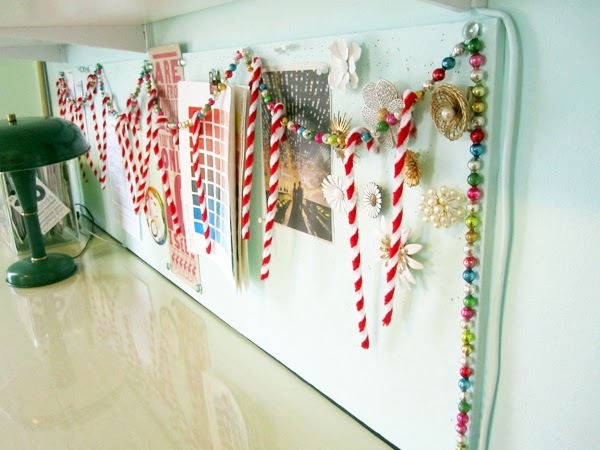 I tacked my single strand of vintage glass beads to the bulletin board above me desk, and then hung my chenille candy cane pipe cleaners on it. 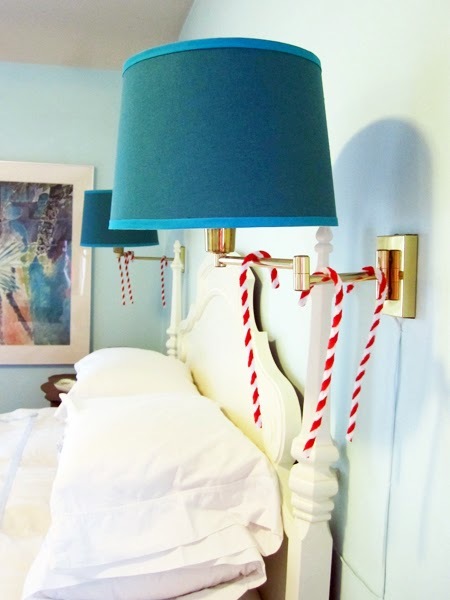 And I saved a few of the candy canes to hang on the wall lamps on either side of my bed. 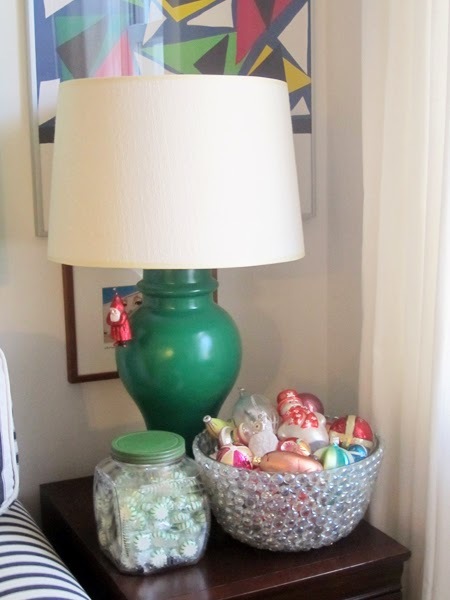 So I didn't go all out like I did two years ago, but even without a tree my one bin of Christmas decorations goes a long way to make things feel pretty festive around here. How's your holiday so far? I hope it's really happy and festive. I have a degree in art, I'm working on my Masters in Interior Design, and this blog is where I write about things that make my heart race.